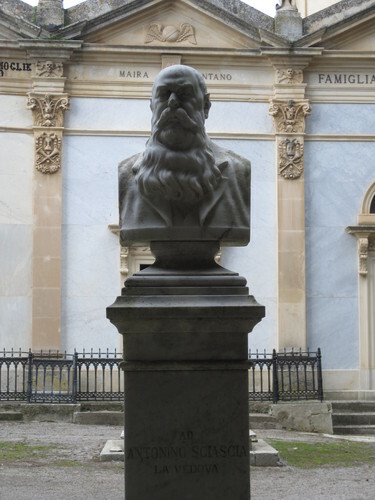 In 1925, Antonino Sciascia died at the age of 86 years alone and sad in his native country. The town was shocked by the news and for this reason the city proclaimed “city of mourning” for three days. All citizens went in his house to show their gratitude and their affection for that doctor who was always present and available. 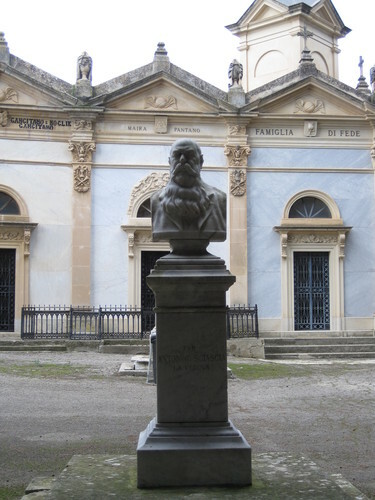 His tomb is situated in the cemetery of Canicattì, in Via Nazionale.It is a marble statue, simple and unadorned( almost invisible to the passer-by)1. At the base of the tomb there is only an engraving that shows the same simplicity of a doctor. 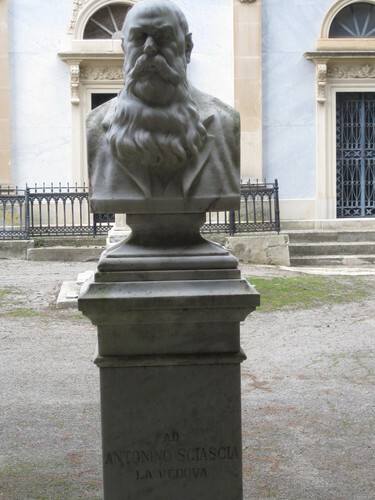 “ AD ANTONINO SCIASCIA,LA VEDOVA” (for Antonino Sciascia,by his widow). 1. See Pietro Macaluso.Le Ragioni di Sciascia - Cronaca di un nobel negato.Edizioni Malgrado Tutto, 2007, Comune di Canicattì,2000, pp. 32 ss.